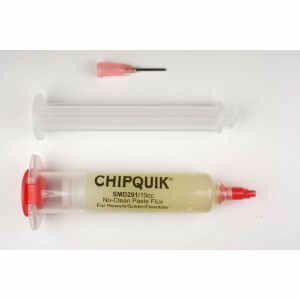 Chip Quik SMD291 Tack Flux no clean in a 10cc syringe w/plunger & tip. Used for touch up and rework, attachment of BGA spheres, soldering flip chip components. Low viscosity no-clean synthetic paste flux. Has a pleasant odor. 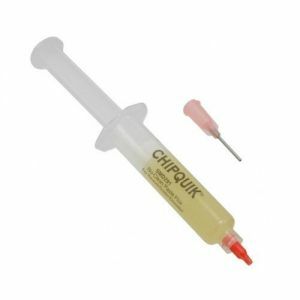 Purchase Chip Quik SMD291 FLUX 10cc Syringe Today.